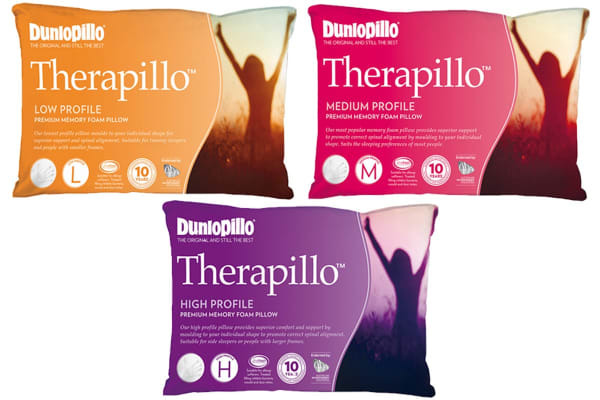 This low profile memory foam pillow moulds to individual shapes and is ideal for tummy sleepers and those with smaller frames. 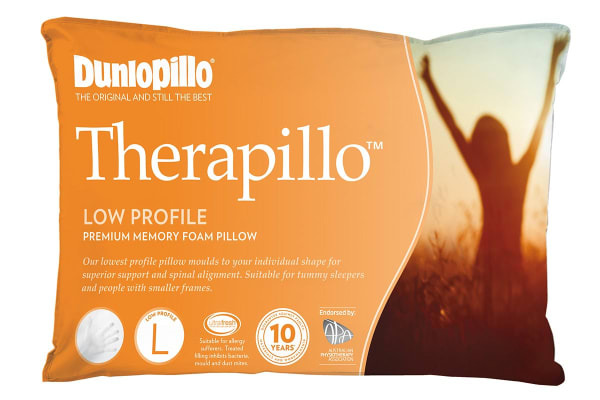 This Therapillo Premium Memory Foam Pillow (Low Profile) has been designed to conform to individual sleepers, giving customised support. Helping to correct spinal alignment, this pillow also moulds to the contours of the head and neck, relieving pressure points. Ideal for allergy and asthma sufferers, this Therapillo Premium Memory Foam Pillow (Low Profile) has a treated filling which inhibits bacteria, mould and dustmites. This pillow also comes with a removable velour cover for easy machine washing.